When we’re on the go, it’s easy to grab a beverage from the nearest fast food restaurant or convenience store. Our dental office in McLean wants to talk about an important, handy accessory that commonly comes with these to-go drinks – the straw. Our McLean dental office also wants you to know that drinking beverages without a straw basically bathes your pearly whites in whatever it is you’re drinking. This means that your drink of choice is left lingering on your teeth’s surfaces long after your cup is empty. 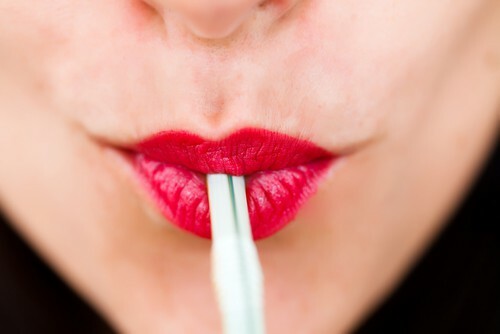 Choosing a straw over sipping directs liquids away from your teeth, reducing your exposure to sugar-packed, stain-inducing drinks and the risk of tooth damage. Your dentist in McLean always wants you and your teeth to be as healthy as possible. We care about giving you the tips and tricks to always ensure your smile is free of cavity-causing bacteria. It may seem strange, but using a straw is a great way to do just that. These handy, bendable plastic beverage necessities help you and your teeth enjoy drinks both hot and cold.